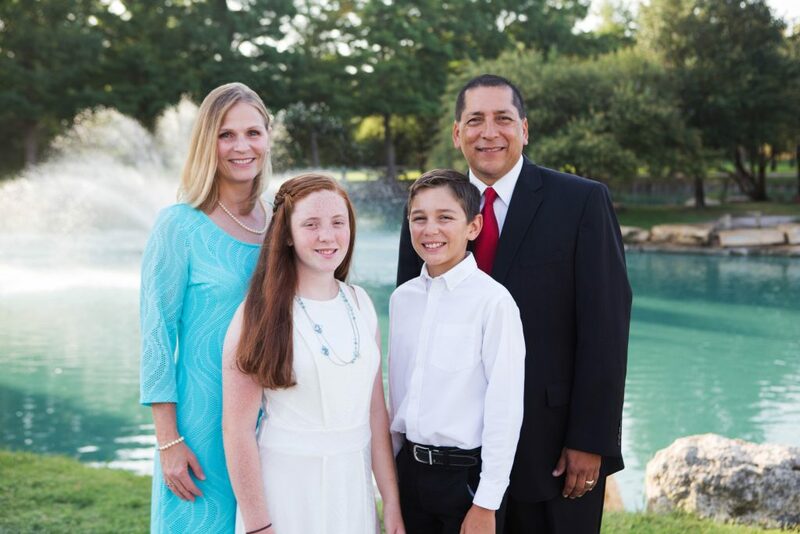 President Abraham Jaquez is pictured with his wife, Kelly, and their children, Gabriel, 12, and Faith, 14. SAN ANTONIO (July 31, 2017) – Abraham Jaquez was elected president and chief executive officer of the Baptist University of the Américas July 20. He becomes the 8th president in the 70-year history of the school. Jaquez, who begins his duties at BUA Aug. 21, succeeds Réne Maciel, who left the university to serve in a church. “I am so grateful to the trustees of BUA for placing their trust and confidence in me to lead this great school,” Jaquez said. “BUA stands at a cross-cultural crossroads as a unique Christian university training servant leaders for ministry. 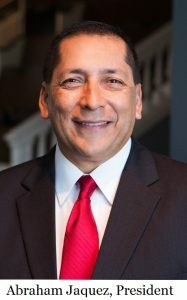 Jaquez, who has served as the ” executive director for Buckner Children and Family Services in Dallas since 2011, brings a broad experience in executive leadership. His skills include development, strategy, general management, personnel and lea dership. While at Buckner, he oversaw all facility business operations, human resources, and oversight of the flagship campus for Buckner International. He previously worked as a Baptist Student Ministry (BSM) director for 20 years with the Baptist General Convention of Texas. Working in cross-cultural environments, he mentored, led, and developed future young Hispanic leaders on the collegiate campus and ministry marketplace.